Susan and Heart to Hearth Cookery are a featured interview in "Culinary History & Preservation — Savoring Tradition" by Sharon Palmer, RD, in Today’s Dietitian, Vol. 7, No. 12, P. 34 (December 2005). Read the online article here. The print publication includes a photo of Susan. 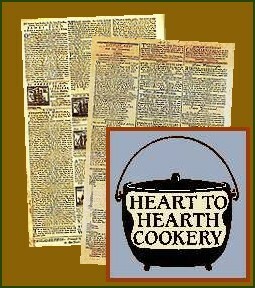 Heart to Hearth Cookery enjoyed the honor of being named Foodsite of the Day at the International Association of Culinary Professionals for October 18-22, 2004. IACP's site offers membership information for IACP, and links and information on an unlimited variety of culinary sites and resources. When Susan McLellan Plaisted's sons were growing up, they delighted in shocking their friends by showing off the contents of their mother's freezer. Bypassing the usual frozen foods, they would point to an assortment of bladders, stomachs, kidneys, heads and lungs from sheep, boars, goats and cows. The organs were for cooking, but not the kind that puts dinner on the contemporary table. Plaisted and her fellow members of the Accomplisht Cooks of Pennsbury prepare them - for demonstration, not consumption - to show visitors at Pennsbury Manor, the recreated home of Pennsylvania founder William Penn in Falls, Pa., how people cooked and ate when every edible part of the animal was used. Today Plaisted has three freezers in her Morrisville, Pa., home - all filled with animal parts that have been discarded by slaughterhouses - and a growing business as a food historian called Heart to Hearth Cookery that extends hundreds of years beyond her initial 17th-century work at Pennsbury. "I consider what I do to be experimental archaeology in food," she says of her work, which includes wearing the clothes and preparing the dishes of cooks from pre-European contact American Indians to servants working at 19th-century cookstoves. Her extensive food history resume has come from years of painstaking research, study and experimentation. She traces its beginning to a visit to a re-enactment in Trenton, which is rich in Revolutionary War history. "When my younger son, Michael, was 5 we went to the Trenton Barracks," she said. Looking at the re-enactors, he wanted to know when he could become one. A year later, he was still asking so she found him a drum teacher and by the time he was 7 he had become a Hessian drummer re-enactor. Meanwhile, her son Andrew apprenticed at Pennsbury Manor, appearing as a 17th-century child. "He was 10, so Mom had to be there. Somebody had to take them and stay with them," she said. "That's when I began cooking at Pennsbury." The decision was a natural extension of her interest in food. A pediatric dietitian and certified specialist in pediatrics who works at a skilled nursing home for seriously ill children in Voorhees, her fascination with cooking dates back to visiting her grandmother in Maine. "I would go to the farm at any opportunity and she would give me something to do, like shelling beans," she said. The warm memories of times with her grandmother easily meshed with her father's love of history. "Every time he took us out, we saw historic sites," she said. Each site included one of her favorite elements of history: "I was just mesmerized by hearths." It's at open hearths that she does much of her work today, demonstrating for adults and children how hot ashes and coals were used to cook long before Americans had gas and electric stoves. She still cooks at Pennsbury, where she recently dressed as an Indian and with other Foodways volunteers cooked the "three sisters" of native cuisine: corn, beans and squash. Another recent appearance was at the historic Johnson Ferry House in Washington Crossing State Park in Hopewell Township where she demonstrated 17th- and 18-century hearth cooking. She also spent a day there teaching how to make the 17th-century version of hot cocoa, beginning with roasting and grinding cacao beans. She will repeat that class there in February. When she began volunteering at Pennsbury, Plaisted said she found the cooks were making modern recipes in 18th-century pots. She took it upon herself to research authentic "receipts" as recipes were called, from the 17th century, which is when William Penn and his family inhabited the original Pennsbury Manor. "That was my goal and mission, and I did that for years," she said. Now she spends four days a week on food history, a break she says she needs from her often emotionally painful dietary work with very ill children. She enjoyed teaching the seminar on chocolate at the Johnson Ferry House even though she said the type of hot cocoa she prepared would not have been served in the middle-class home of an 18th-century ferryman. "Chocolate was very expensive and limited to the wealthy," she said. She used a circa 1650 receipt to make what was a favorite drink of William Penn. She enjoys programs where she has the time to take her class through the entire process of preparing a dish or dishes. "There's something about doing and tasting the food that makes it so much better" than just describing how something was done. In her chocolate class, "A lot of people saw cacao beans for the first time." Authenticity, she said, is at the heart of her work. "I spent years doing research before I was ready to do native American cooking in public," she said. She spent four years doing research before perfecting her chocolate program. Food history is so much a part of her life that she spent her last vacation in Scotland. "My heritage is Scottish and I wanted to learn how to cook over peat in a sod house," she said, an experience she found enlightening, and which she only recommends for those who can stand the smoke and smell. Her credentials are extensive and include being a founding member of Historic Foodways Society of the Delaware Valley, a member of Past Masters in Early American Domestic Arts and of the Food History Committee of ALHFAM (Association of Living History Farms and Museums). She conducts hands-on workshops and classes, for both children and adults, at additional historic sites and museums in the Delaware Valley area and provides slide presentations and lectures. In costume, she demonstrates Scottish, Welsh, English, Dutch, German, Swedish, Colonial, American Indian and shipboard cooking. 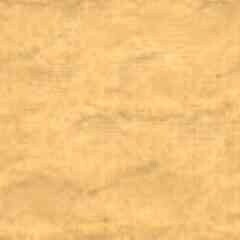 Take a cake of chocolate, and either pound it in a mortar or grate it into a fine powder. Mix this with sugar, and pour it into a little pot in which water is boiling. Then take the pot from the fire and work it well with your little mill: if you don't have a mill, pour it a score of time from one pot to another, but this is not as good. Finally, let it be drunk without separating the scum from it. St. Disdier's Chocolate (1692) High taste for those with no fear of overeating. Grind the roasted cacao nibs with the sugar on a heated stone, then mix the spices in with the paste. To make the drink in one's chocolatiere, boil 5 to 7 ounces of water with one quarter ounce sugar, throw in the broken chocolate tablet, and beat. Letting the mixture simmer after boiling will make if foam better. NOTE: Plaisted will conduct a second Chocolate Workshop Feb. 7 at the Johnson Ferry House. She will conduct a Bake Oven Workshop Oct. 3 at Newlin Grist Mill. For information on these and other workshops, see her Web site (www.hearttohearthcookery.com).